there's very little chance I'll ever wear them again, or do anything with them for that matter, I just can't decide to give them away or throw them out. Maybe there'll be an 80's party or something one of these days, and I'll need them. Or something. 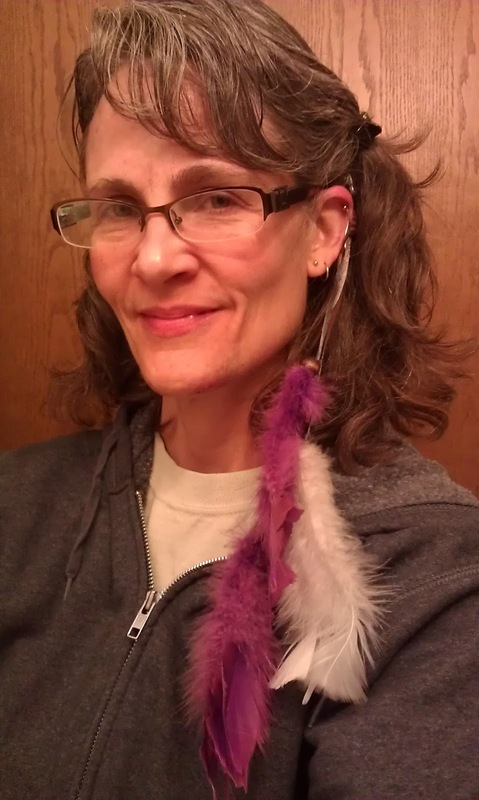 Besides, hair feathers and feather earrings are a hot trend right now. Yeah, I know - not exactly the same, but you know what that means? 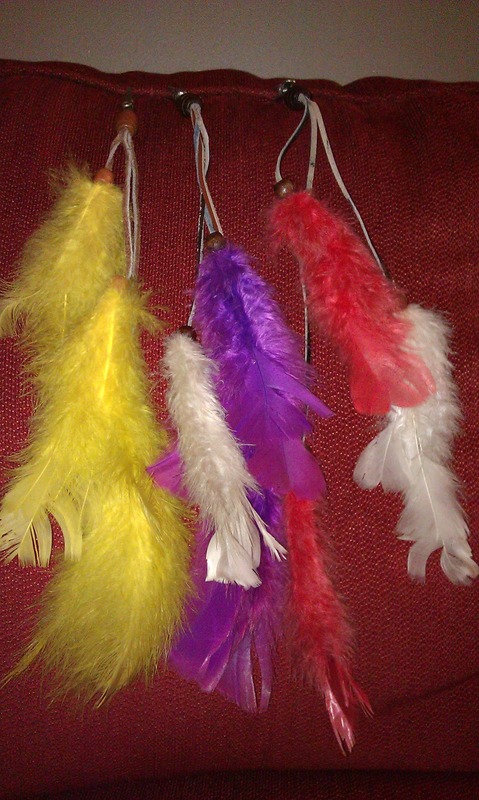 I can't throw away my old feathers, and I need new ones too. Or maybe I'll just hang these from a lampshade or something, just for fun.